This training, approaching anger differently than the typical training, describes the different types of anger expression, explores how each type can express anger effectively. Anger management trainings typically explore techniques to avoid becoming angry, or to effectively manage it by using universal techniques for everyone. These coping skills typically involve keeping anger quiet and private. This training teaches how to identify what type of anger expressor you are and how best to manage it effectively depending on your type. Anger expression is not a one-size fits all process. In addition, anger is a secondary emotion, fuled by one of many primary emotions. This training will explore this process, focusing on how to recognize influential emotions and how they interact with anger. ​Anger Management is often guided by cultural, political, and social forces. The degree that expression of anger is accepted is often based on these influences. An obvious example is that stereotypically men are allowed to express anger explosively, but women are harshly judged if they express it the same way. 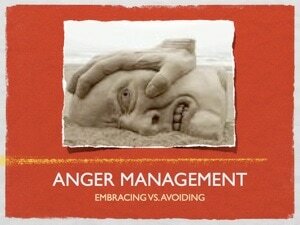 This training relates to direct practice, as it aims to help the clinician work with every client on recognizing how anger works in their life and learn ways to manage emotions to each client’s benefit. This training topic connects to diversity in allowing for individuality in anger management and attending to the diverse background of each client as a part of managing anger effectively. 1. Learn the different types of anger expression, the physical and emotional effects, both positive and negative. 2. Explore primary emotions that fuel anger, and how to address them. 3. Develop a plan to help clients understand and express anger in the healthiest manner. Hanh, T.N. (2002). Anger: Wisdom for cooling the flames.New York: Riverhead Books. ​ Scheff, L. & Edmiston, S. (2010). The cow in the parking lot: A zen approach to overcoming anger. New York: Workman Publishing Company.